Who: Italian artisan Carlo Moretti, a glass master who in 1958 established this workshop with his brother Giovanni Moretti. Bergdorf Goodman in NYC is one of several retailers for the United States. Prices range from $144-$165. 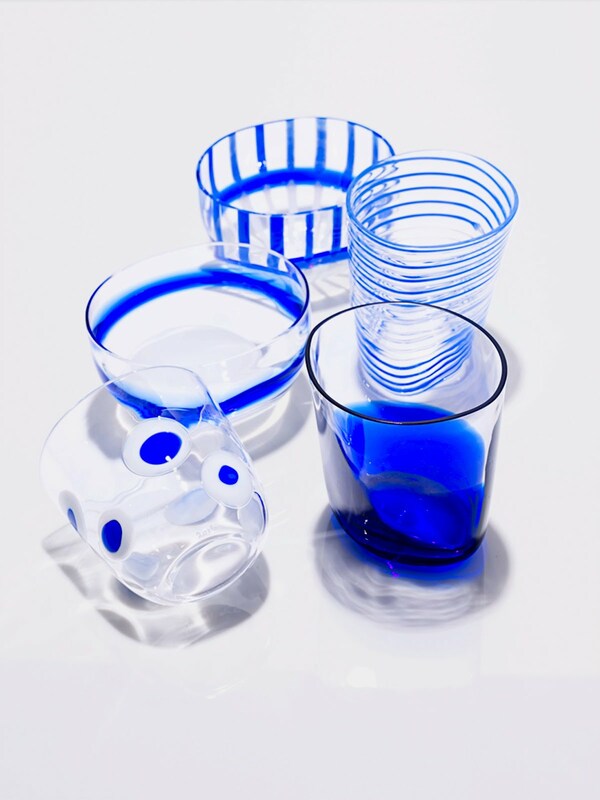 What: Hand blown glasses and bowls that take ancient traditions of production from the Murano islands of Venice and combine them with more contemporary patterns and designs. Where: When I first caught a glimpse of this tableware, my reaction was that they would be perfect in the South of France or St. Barths ... imagine, a Christian Liagre inspired interior with dark wood floors, sisal rugs, white slipcovered furniture and this barware to accentuate the tabletop. When: Perfect for a Pisco Sour, Mojito or Americano just before dinner. Why: When your tastes tend to be more neutral and minimalist, barware is a great way to bring in variety and pops of color without having to commit the entire interior to the effect. Easy come, easy go! 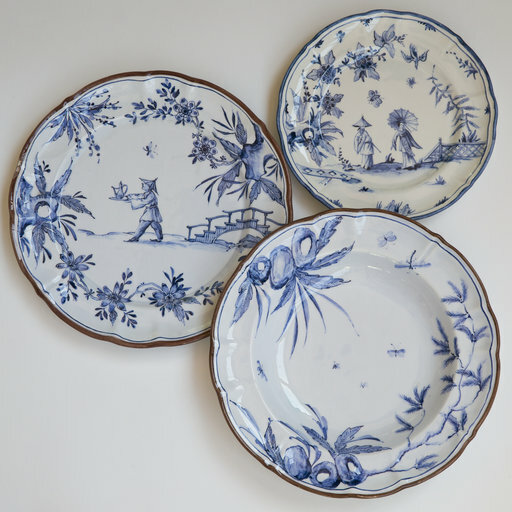 Who: Italian retailer Artemest brings you these handprinted plates from Italian artisan Paravicini, prices range from 180-220 euros. Where: Perfect for your country house. A few years ago I was working on a summer house in Southampton and this collection would have been perfect for their breakfast room which was located off the most beautiful glass conservatory. When: Your more formal breakfast engagements ... flute of Mimosa required! 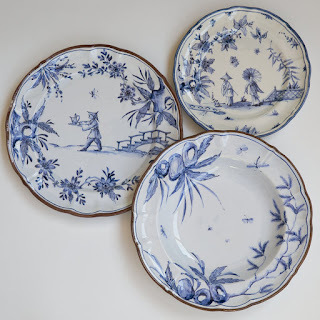 Why: Even in the most contemporary of times, having pieces that reference classical designs are a good way to round off your table settings....and hand painted, providing a truly unique collection? Che Bello!